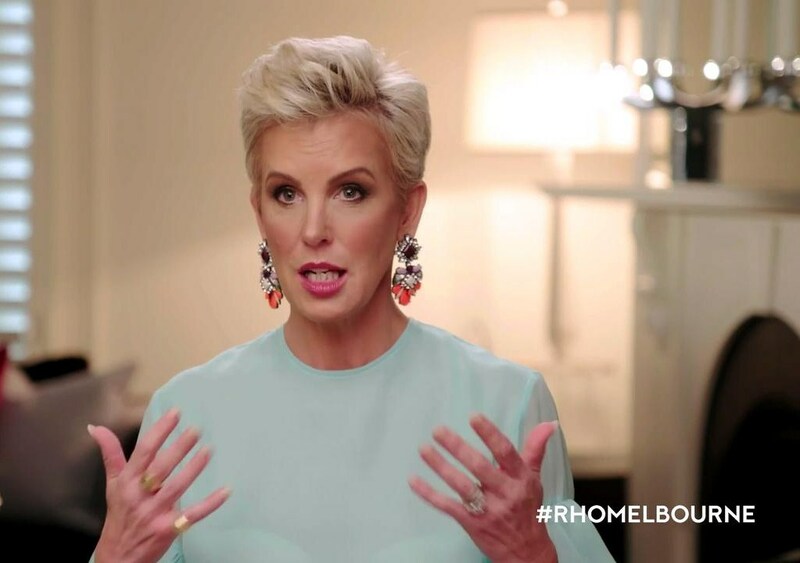 iRealHousewives | The 411 On American + International Real Housewives: Sally Bloomfield Shares Her Thoughts On Psychic Reading Session With Jackie Gillies! Sally Bloomfield Shares Her Thoughts On Psychic Reading Session With Jackie Gillies! Sally Bloomfield is taking to her Arena Blog to dish on this week's episode of The Real Housewives of Melbourne. Sally Bloomfield opens up about her psychic reading session with Jackie Gillies and shares the thoughts on the launch of her new company. "Hi guys, lots to talk about. Was so looking forward to catching up with my girls Jackie and Janet and filling them in on the Truffle hunting day, I had so much to tell them and wanted to hear all about their lunch at the winery! I’m so glad I suggested they take Gamble as she has been a bit left out so I wanted them to include her too. I love Gamble, she is so naughty but she really does have a heart of gold and is so bloody funny! So can you believe that Venus lied about the photos!!! I have to say I wasn’t that shocked when the girls told me that her story wasn’t the real story. Then when Janet produced the photos of our houses and unflattering shots of us all, it really was kind of creepy and a bit strange. I mean I am new to the group but would never in a million years take photos from someone’s phone of the other girls and their houses. I was so excited that Jackie offered me a reading and to be honest, I was really hoping she would. It made me feel a bit emotional but in a good way. I have total faith in her abilities and was really looking forward to hearing what she had to say. I never ask Jackie for a vibe but she gives them out all the time. She just adores Ian and tells me things about him that she couldn’t possibly know. She always says she laughs with him and that he is a total rockstar, which of course he was! I have to say the reading was even better than I expected, even the crew were in tears. I had to write everything down, but of course I am too vain to wear my glasses so struggled a little trying to read it all back later there were so many scribbles that were just illegible!! But it was beautiful and moving and just what I needed and brought Jacks and I closer together which was lovely – she is a beautiful person inside and out. The launch was fabulous and of course never without drama with this bunch of girls!! I was disappointed that Lydia made Jackie cry and leave and Venus had to attack Gamble over some stupid picture she sent as a joke to a mutual friend. However, it was so great to have all my friends there to support my business. My gorgeous stepson Christian supplied the drinks from Melbourne Martini and mini Poke Me bowls. It was a great night, despite the dramas!!" What do you think about Sally’s blog?